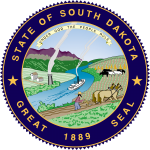 The South Dakota living will is a legal document that would be completed by any person (Principal) in the event that the Principal may be placed in a position that may leave the Principal unable to communicate their wishes for their personal health care. 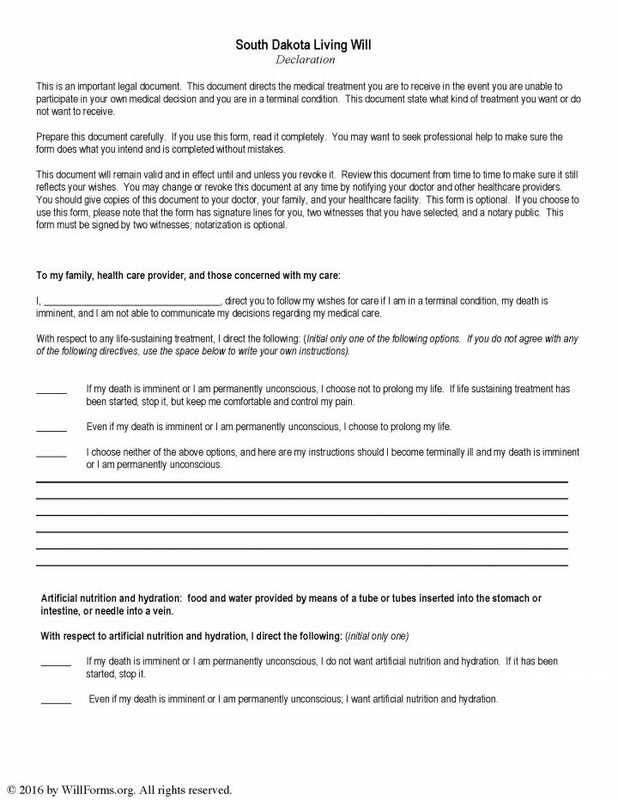 With this form they will have legally recorded how the Principal would like their medical treatments, additions and/or withdrawals should be carried out by theie medical team. This document will also provide the opportunity for the Principal to assign an Agent, who may speak on behalf of the Principal if the individual would prefer. Once completed, this document will require witness and notarization. As long as the Principal is of sound mind, they may make changes or revoke the document as they choose.